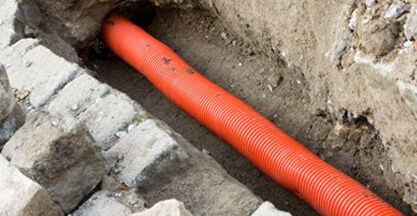 Clark Drainage is a drainage repair and maintenance company which specialises in 24/7 speedy response service. Our company has been operating for over a decade and have managed to achieve a standard response time of only 1-2 hours. We are ready to go every single hour throughout the day, all year round, even on bank and national holidays. for more than ten years, we have had time to assemble an army of technicians with the expertise and training to deal with any scenario they come across from drain cleaning to full installations. This enables us to deal with issues quickly and effectively employing the most cost-effective tactics, which creates cost savings which is demonstrated in our prices. We also believe in working as transparently as possible which is the reason why we’ll present you with a fully detailed and structured quotation prior to starting work. Additionally, our teams will be as informative as is possible and can clear up any questions you may have so that you will always be aware of what is happening. From the most rudimentary and routine of residential tasks to immense commercial and industrial projects, we have the capacity to take on any job which comes our way. We provide our teams with the best industry-leading equipment to make sure our technicians are prepared to start work the minute they get there – it’s not acceptable to waste your time and money while we wait on devices we should have with us. We have made sure to set up premises across the Central Belt and nationwide so that we protect the conscious service of a localised business while having the capability of using the resources of a substantial countrywide company. If you need an urgent drainage repair or merely need to prepare some maintenance, give Clark Drainage a call today on 0808 164 0776. Despite all the diverse tasks we are hired to do, Blocked drains are by far the most frequent. They can come about with no forewarning and have a high probability of doing very costly amounts of damage very quickly. Our sewage systems are continually under siege from troublesome substances. If it isn’t hair and soap being sent down the plughole, then it is grease and oil from our dishes. Even if you do whatever you can within the home, there is almost nothing you can do about the foliage and plant matter which find access from your garden. We are able to offer plenty information on ways to avoid these issues, lots of which is readily available all over our website, but the irregular nature of clogs causes them to develop even in a system which is incredibly well-maintained – particularly without ongoing drain cleaning. 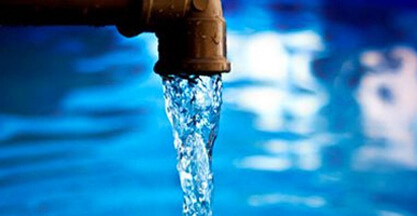 In this event, you require a quick response from drain unblocking experts. You may assume blocked drains are only a nuisance. However, the truth is, the flooding and resulting water damage that can follow will do significant and costly damage to your residence. It is critical that drain unblocking is conducted at the earliest opportunity in order to avoid architectural troubles, extensive flooding, and waterlogged gardens. Despite having an average response time of 1-2 hours we regularly get to urgent situations a lot faster – sometimes in under 60 minutes. The moment we turn up, our technicians will make full use of their state-of-the-art water jetting technology to execute the drain unblocking procedure quickly and decisively. This technique is not only effective but also cost-effective and harmless to your pipes. Blocked drains do not work normal office hours, and thus neither will we. We are readily available twenty-four hours a day, every day of the year, to ensure that we are always there when you really need us. With regards to a problem as pressing as drain unblocking, you should be certain that you’re working with industry experts which you can depend upon, so look no further than us. There is no easy way of telling when clogging will occur, so we ensure that we are all set to react to your call whenever you require our presence. We have technicians all set to go 24 hours a day, including bank and national holidays. Time is crucial with regards to drain unblocking, so you need to make sure you have a company you can completely count on. That is where Clark Drainage comes in. 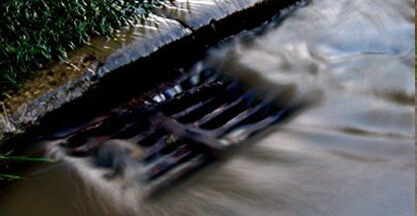 Having your drains cleaned out is the simplest approach to reduce the risk that clogs will build up in the first place. Keep in mind, blocked drains will not just instantly develop, they are the product of the steady build up of countless pollutants and rubbish. 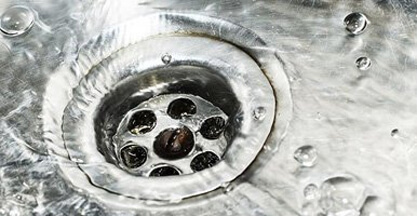 Drain cleaning will support you in keeping this inevitable process in check. Steady and continual high-pressure water jetting help to make sure your plumbing is continually pristine and can rinse off any potentially tricky contaminants before emergency drain unblocking is even required. For anyone who is anxious the procedure might be costly and time-consuming, we are able to be done in just a couple of hours, leaving your system performing at capacity while considerably reducing the danger of significant malfunction. Even if you aren’t facing these issues, you may well nonetheless have a cunning clog accumulating in your drainage network. It is much safer, and simpler, to arrange drain cleaning prior to there being a failure instead of getting it repaired after clogging takes place. From time to time, some drainage problems can be so difficult to find that even the most seasoned technician will need to get up close to diagnose it. After all, they’re typically underground! 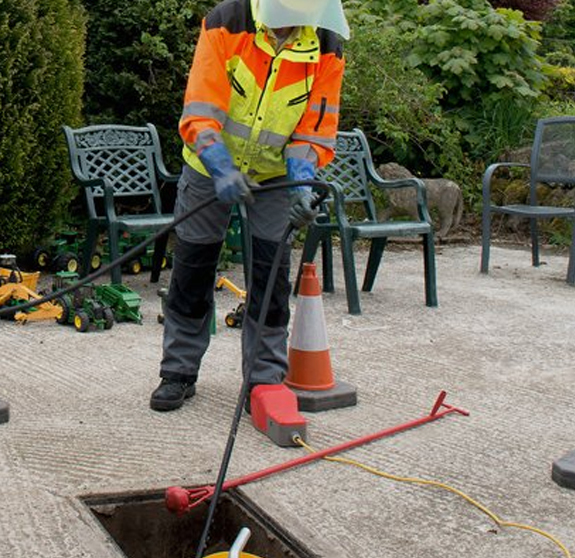 Nonetheless, you should not be concerned; we are not going to immediately commence digging apart your lawn and destroying your flooring to obtain access to your pipes – we are able to utilise our CCTV Drain Survey Technology to attain a good view. This incredible and practical technology allows us to explore your piping with a high-definition digital camera to review the situation. This is absolutely the best way to set about analysing the problem, and by acquiring a crystal clear look at what is happening, we can come up with an effective and cost-effective plan to deal with it which will have everything running smoothly as quickly as possible. In order to provide the best customer service, we think it is essential to make sure our customers are as in the loop as we can. This is why we will supply you with the video footage of what we observed in your system together with a full review of the survey. 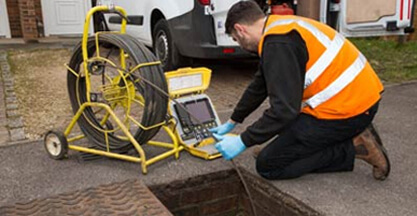 Our CCTV Drain Survey technology can track down obstacle, making it possible for us to attend to any pipes which have been blocked, have collapsed, or have been invaded by tree roots. 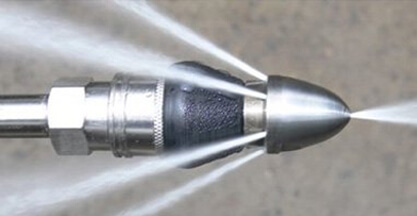 High-pressure water jets are the most common tool from our collection that we will employ to fix your drainage system. From time to time, however, we will have to get direct accessibility to the malfunctioning segment in question as such are unable to work remotely. The best way to accomplish this is to conduct an excavation. With a lot of cowboy companies, excavation could be extremely expensive and time-consuming. However, our teams have been given the technology and training to help make the procedure as smooth as possible. Whether you need only a portion of a pipe swapped out or a whole network overhaul, our experts will get to work immediately and perform the required reparations efficiently, making what could be an awful process completely straightforward. When a crucial drain malfunction crops up, you cannot afford to spend your time hanging around for the technicians to begin work around 9 am and call at your residence at 1 o’clock. This is exactly why we are at the ready any time, all year long. We consistently have teams all set to go all over the country so that we will be with you right away. We have achieved a typical response time of merely 1-2 hours, but of course we will respond to emergencies as a priority. Therefore it isn’t uncommon for us to be there in less than an hour or so with the tools we need to end the spreading water and fix the pipe! Water is much too dangerous a force to agree to a second-rate service, so be certain that you’re putting your faith in experience. When your system is functioning as designed, the average person does not give a great deal of attention to it. As soon as the water has been taken away it is no longer our problem; we rarely give it additional consideration. However, once the water ceases draining away, suddenly it grabs our attention. We’re here to provide all of the assistance and service you require to keep your network working perfectly. If you need to set up a service today, such as drain cleaning, drain unblocking, or an emergency repair, you are able to get us at 0808 164 0776. If you would prefer that our personnel contacted you, fill in the enquiry form on this website and we’ll get back to you the second we are able.